Please could members who are intending to come to camp let Bethan know ASAP, so we can book instructors, etc. Please fill in the application form and email/post to Bethan Jones. There is no need to pay until 1st July 2018. 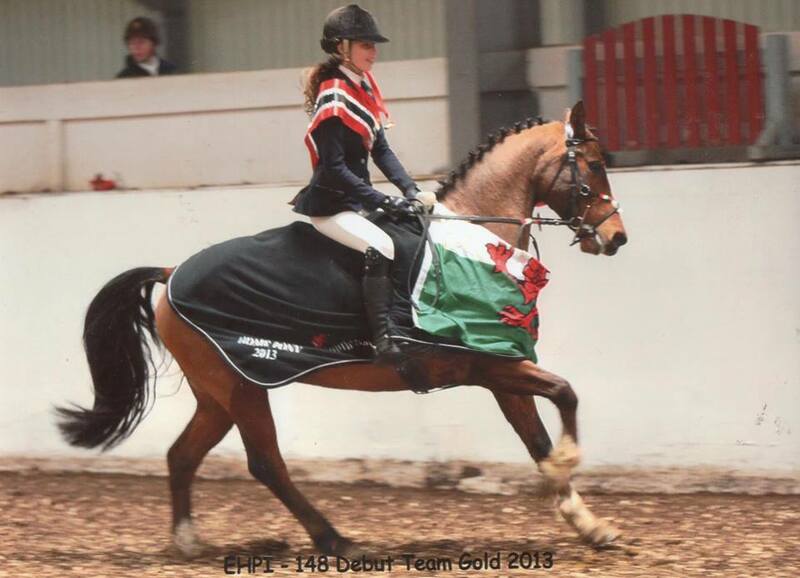 Cob or Cob x, mare or gelding, 14.2-15.1hh. Must be a good doer, no stable vices. 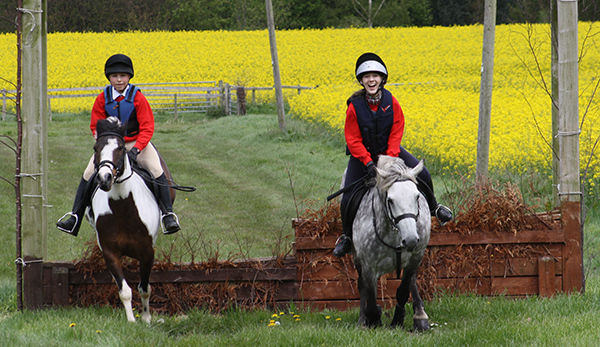 Wanted for regular hacking up and down steep hills, fun rides and also schooling and lessons. Must be safe and sensible. To be kept at home with one other gelding. Must live in or out (in at night during winter months) and be good to shoe, box, clip, etc. 5* home guaranteed. Phone or text 07919 005871 or 01745 826060 (Jane). See below for the full results table. Flint & Denbigh were 3rd in Class 2, 5th in Class 3 and 2nd in Class 4. 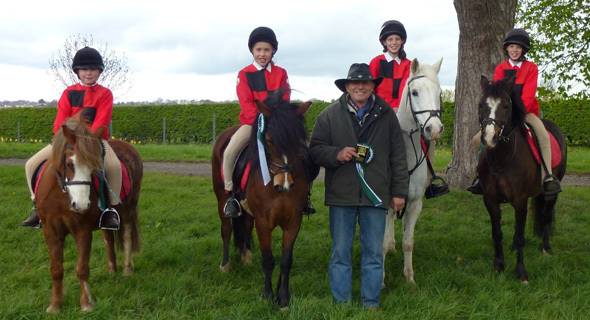 There are 30 happy Flint & Denbigh ponies now that 30 members have learnt so much about feeding them. Well done all. Thank to you Meg Green and Ben Read for making both the Mini and Main feeding badges so informative and also so much fun. 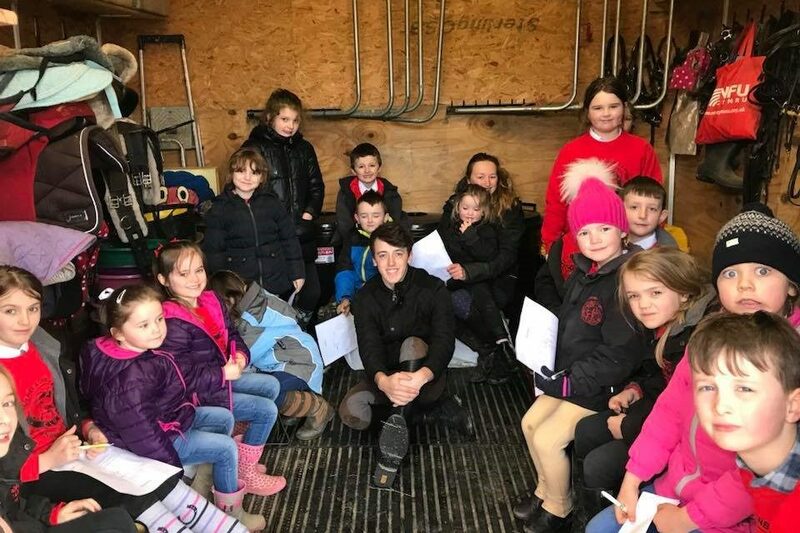 Thank you to Kate Griffiths for use of her stable yard, and also for organising a fun Easter Egg hunt in her garden afterwards. All of the children went away with bulging bags and pockets and smiley faces and after all of the rain and snow, even the weather smiled on us. 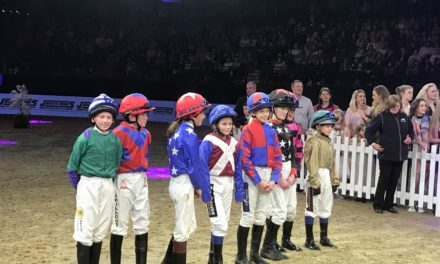 Freddy did his first pony club ‘Pony Race’ at Cheltenham Racecourse, on Friday 30th March. The day was a mirror image of a professional race day. 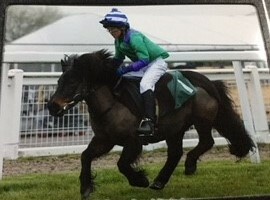 Samantha the Shetland found 6 furlongs a bit too far to be in the winner’s enclosure, but Freddy said it was his best day so far! Thank you to every one who came and supported the event, despite the rain!